Background: There isnt a ton of background information out there on this cigar so lets just recap what we do know about it. The cigar is a line that is exclusive to Gotham Cigars, which was done in collaboration with Alec Bradley. 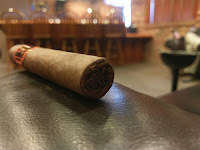 It is a Nicaraguan puro that uses a sun grown wrapper and it only comes in one size, the 5x50 (robusto). Appearance (0-20): The sun grown Nicaraguan wrapper has a light coffee coloration to it, but the sort where a little bit of cream has been added. It still looks rich and inviting, with only small visible veins. The seams are well set, showing a quality wrap. At the foot you will find a nice mixture of tobacco colors, with some extremely deep brown and others veering toward the same coloration as the wrapper. A black, gold, and orange band sets finishes off the look, with a decent contrast to the stick itself. 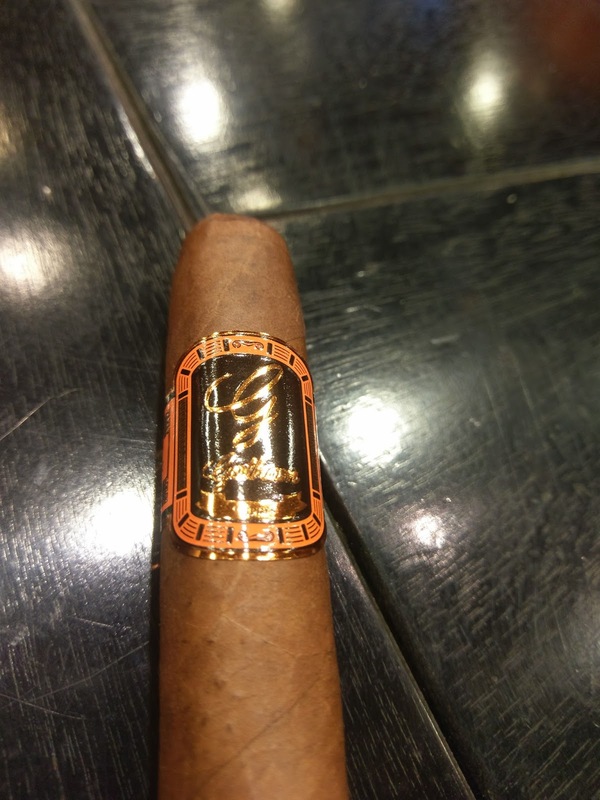 The band is a black backdrop, rounded off in orange, with Gotham Cigars written in gold. Construction (0-20): I could tell when picking this up that it had been well cared for. The cigar was firm but not overly stuffed, resulting in just the right amount of give / springiness. With no major veins of note, there are only minor ones that are noted. The initial cut was mainly clean, with minimal debris. Pre-cut there was nearly the perfect amount of resistance, which ended up continuing throughout the smoke. The ash tended to hold for an inch to an inch and a half at a time, with a relatively clean line. Overall, no major knocks in this section, just some minor items. Strength (0-20): Medium to full is where is has typically been listed and it definitely follows that mold. I personally found it to begin at a medium and slowly ramped up into the medium to full range by the end. Flavor (0-20): Remember the initial view of the smoke, which it looked like a coffee with some cream? Well, the first puffs of this cigar definitely carry that exact flavor. It’s slightly bitter, with just the right amount of creaminess and some pepper mixed in. On the retrohale there is a bit more of the pepper, but its not overpowering. You can also locate a bit of earthiness and some woodsy flavors, though they are more just the supporting characters to the coffee being the star here. As it progressed further, the flavors remained relatively unchanged… though the pepper flavor amps up and is balanced with some natural sweetness, something of a slightly sweet cocoa. Value (0-20): Dropping in at the $6.00 price range puts this a little above the “cheaper” variety of smokes, but still a bit below the high range. Meaning it has some decent competition. However it seems to be in the right range for what you’re getting. 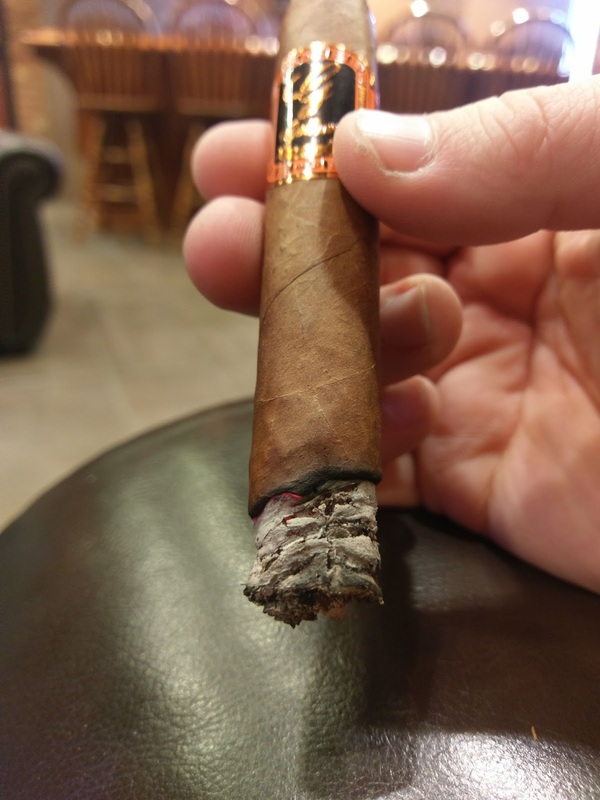 Overall (0-100): Most cigar shops out there will have a house blend that’s a shade or two below the mediocre line in terms of overall performance. In fact, I’ve found it semi-rare to stumble upon one that is better than mediocre. The Gotham Heroes Alec Bradley is one of those in the later category. Where I won’t call this one a home run, it definitely checks off all of the boxes to point to this being a solid buy. It doesn’t really have any major visual flaws, is well made (with most notably one of the best pulls I have had), and definitely is the strength that its marketed to be. The flavors are solid and smooth, and if you like something with a coffee base that mingles in pepper, earth, wood, some roasted nuts, etc… this one will be for you. And at $6.00 per stick, it also wont break the bank. 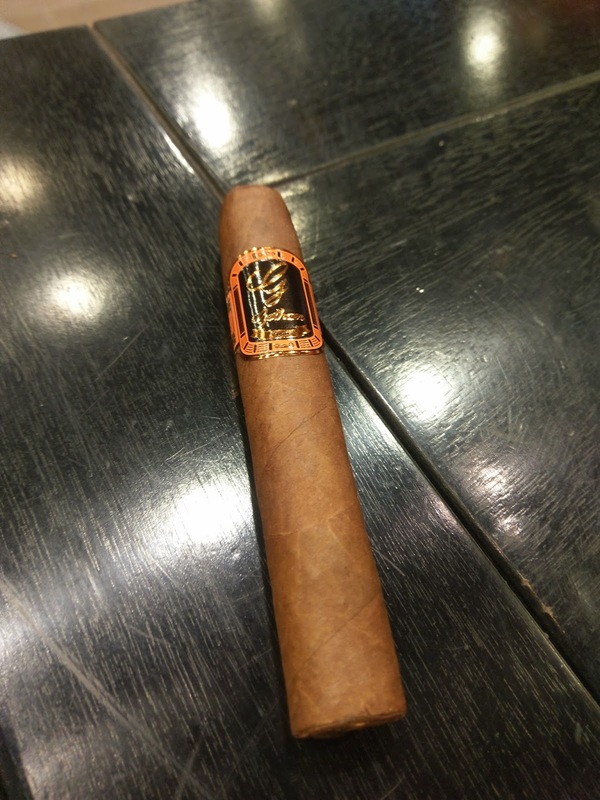 Bottom line – it’s a solid stick for the price, and impressive for being a house blend. I would absolutely recommend this one.